If you don't know how to use these properties. 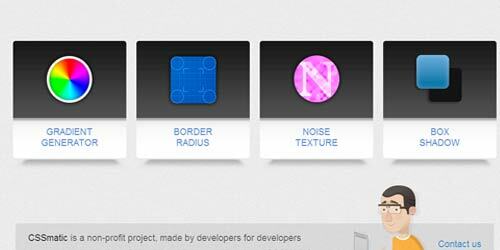 There are several online css3 tools available that generate css. These tools are very easy to use .They provide a user interface. you just need to drag some handles or enter some values and select properties that you want to use. And they will generate css for you. You can generate Gradient,Animations, Buttons, Website menu and many other things by using that tools.Some of these css tools are as follows. You can Generate css for Border Radius,Shadow and Gradient. 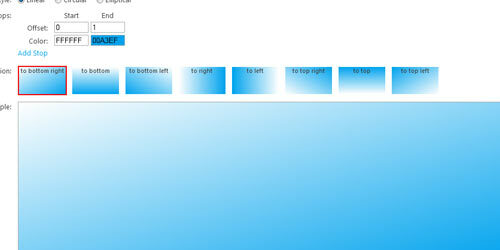 Very clean and interactive user interface provide by css3.me. 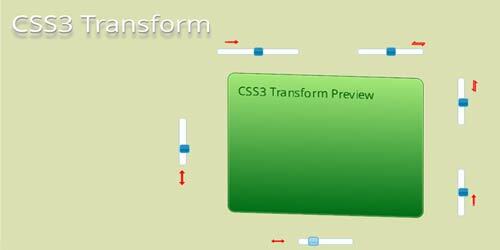 Css3maker providing css for all new css3 properties like CSS3 Transform ,CSS Animation etc. This is very easy to use and generate clean css. 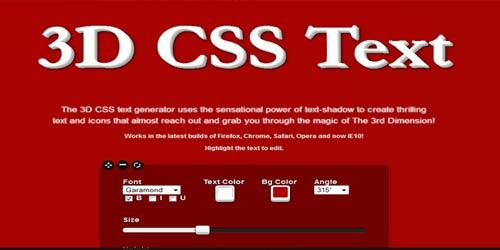 This tool also generate css for various css 3 properties. You can select css properties from dropdown and enter value to generate css. you can use this tool to create a button. 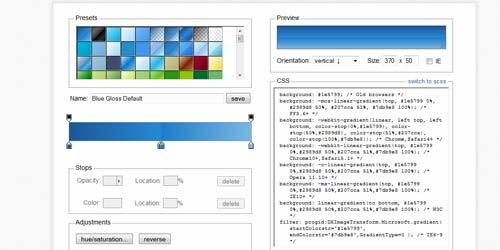 This will generate css for css3 gradient and border radius only. Really best button generator tool i have ever seen. Available with many button example and ready to use buttons and fully customizable. All types of button like 3d etc you can create with this tool. 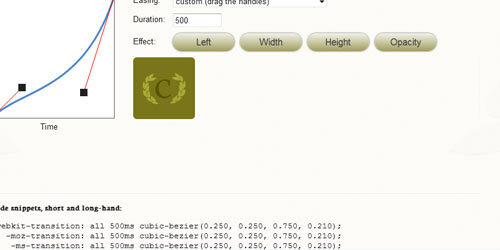 This is a Multi css3 properties generator online tool. 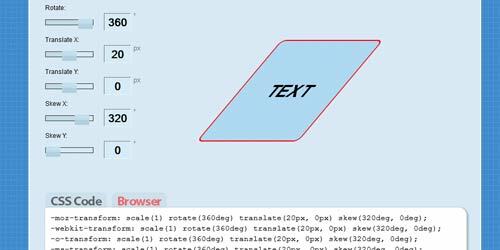 You can create 2-D transform ,3-D Transform ,Transition ,Shadow etc with this tool. Also tell that the properties are supported by which browser. Css 3 Properties defined with example and for every browser with comments.Also keyframes are defined in this tool. 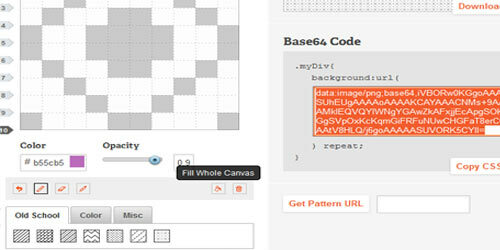 Now with css 3 you can also use a image as a border of an element. 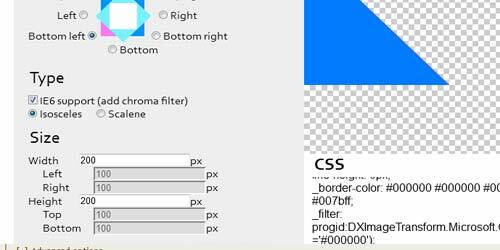 This tool provide css for using image as border. You can define position, height,width of image and can draw an awesome border. Again a multi tool collection having button generator,border radius,text shadow,box shadow,gradient. 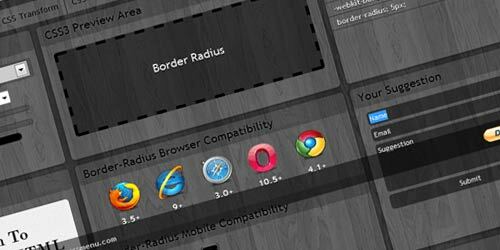 This tool generate css for border radius,gradient, box shadow. One thing is new this is also generate css for texture. A very clean and easy to use tool that can be used while creating a button. Provide various handle to set different values for different attributes. Best online font face generator. 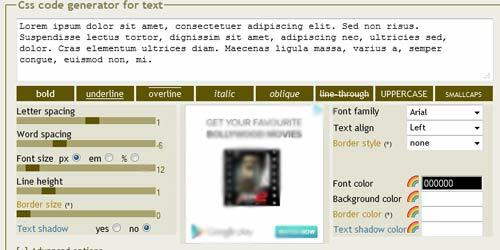 With css 3 You can use any type of font on your website. But the problem is that different browser support different font file. you have to upload a font file and this tool generate files for all browser and css for font face. Really ultimate gradient generator having ready to use gradients and generate css that is supported by all browsers. 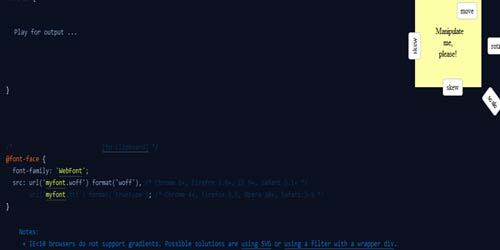 This toll generate css that makes your text 3-D. you can change colors and directions etc. An very clean and impressive gradient generator. 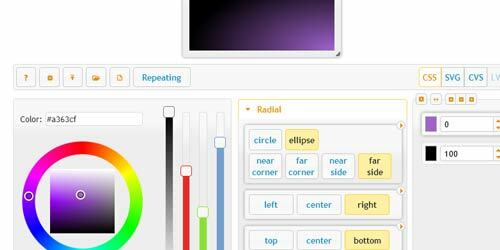 This tool generate css for gradient and also it generate svg and cvs. Speciality of this tool is that it generate inner box shadow. That gives really awesome effect. 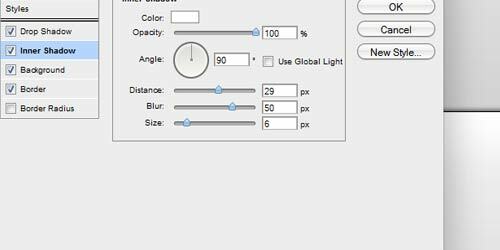 This tool will give you feel of working in adobe. 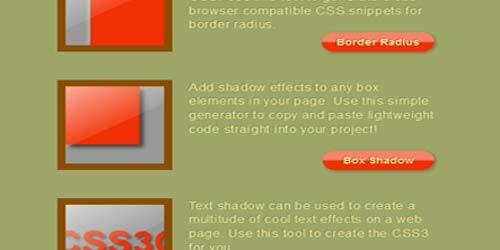 This site has multiple css tools all are very useful like text shadow generator,css sprite generator,css tooltip generator etc. 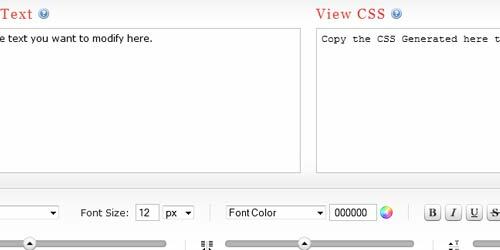 This is simple tool that generate css for text formatting like font-size font-family etc. This tool also generate css for text like wordspacing , letter spacing etc.These are useful for the beginner to css. There are some css tricks. And only some people aware of these tricks. One is you can create a triangle by using border. This tool use that border property and create arrow. you can select direction , color and other options for arrow. 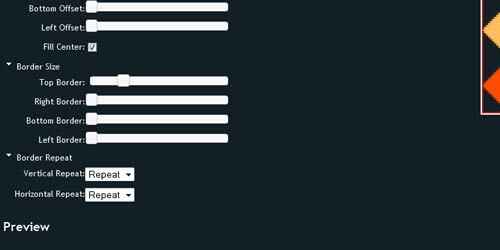 This is again a multi css generator. You can generate css for various properties. 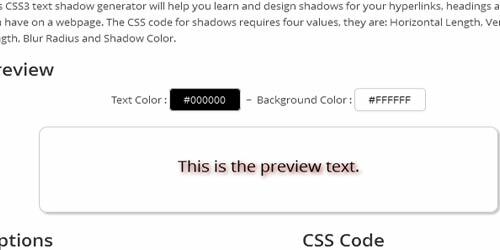 By using this tool you can create awesome gradient buttons for your website. And if you want to use image of buttons this tool also provide option to download png image of button. By using this you can create gradient background for your website. 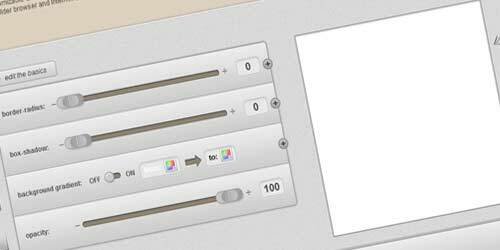 This is very useful tool if you want to css 3 animation on your website. Because this provide lots of animations that you can use. To remind these all animation is very difficult task. So i suggest you to just remember this tool. This tool is different from above tools because this tool generate patterns . I'm just checking out these css tools and they all are great. Nice website, you can also check a similar website.. In a content management Systems website,Content publishing and website design can be finished faster and simpler once you've a content management system. The Joomla Website development for expert websites is getting the market boom and one can charter the professional group for that. CSS is the best tool to adapt style a website to get more impact to the services of business. This is best blog forever for the website designers to get the free online tools for CSS programming coding process. I have read all the post in your blog; was really impressed after reading it. If anyone focuses the Best PHP Training in Chennai . Let us know we are ready to serve for your career. FITA is pleased to inform you that; we provides practical training on all the technologies with the MNC exports having more than 5 years of experience in your preferred domain. Get your career with our knowledge. Usability, appearance and visibility are the foundations of our approach to custom Web designing. One very important consideration you must keep in mind while working with Web fonts is their browser compatibility. 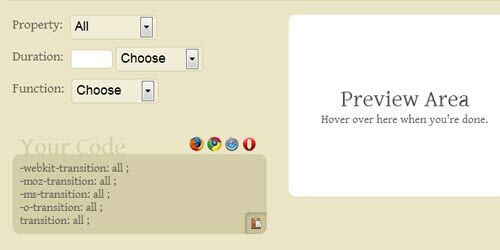 Not all browsers are designed to be compatible with all your design visions. 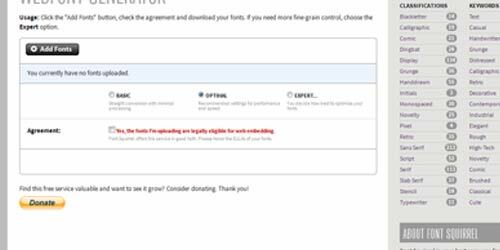 This is why it is better to have a Web safe font as a backup.